Our hair services begin with a consultation to determine the perfect style that's right for you and ends with assisting you in the techniques and products to meet your hair care needs. *Each additional color add $10. Prices based on traditional amount of color used for application. Corrective color upon consultation. Prices for all chemical services are determined by length and thickness of hair. Chemical services are guaranteed only when using recommended products. 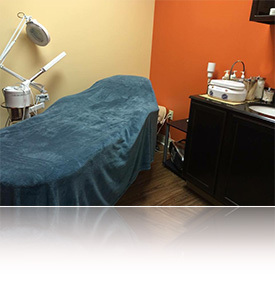 Our nail services offer filing, cuticle care, light massage and polish. Our Massage Therapy offers you a way to pamper yourself through relaxation, relieving muscle tension and stress and increasing circulation. Therapeutic Deep Tissue Massage - An intense massage targeting the deep layers of muscle and connective tissue. 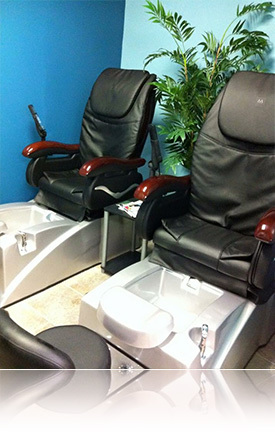 This 2 hour package features a Manicure, an aromatic Pedicure, and a half hour Relaxation Massage. This 2-1/2 hour package features a Manicure, an aromatic Pedicure, and a 1 hour Relaxation Massage. We use and recommend Redken® and Matrix® color. 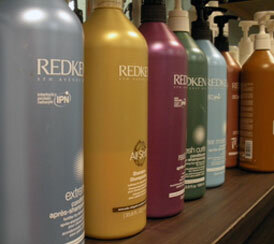 Our salon uses, recommends and sells products by Redken®, Biolage®, Kenra®, Bosley®, OPI®, Pureology®, and Qtica®. Online Specials - click here!